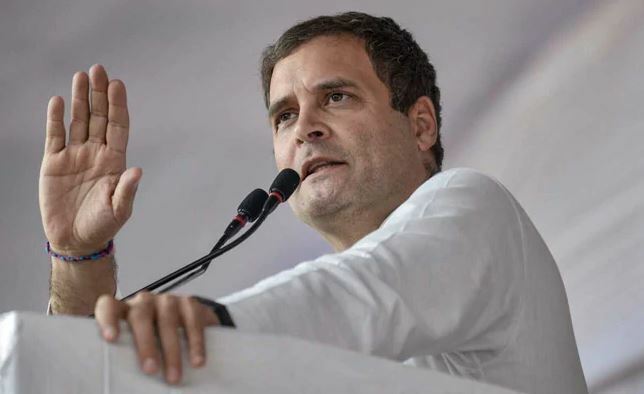 New Delhi: The Supreme Court (SC) on Monday sought Rahul Gandhi’s response for “incorrectly attributing” a remark to the court at an election rally regarding the Rafale deal. The apex court said it will consider the petition filed by BJP MP Meenakshi Lekhi seeking contempt action against the Congress president for claiming that the top court used the term — ‘chowkidar chor hai’ — while passing a verdict on the Rafale deal. The bench further said the explanation by Rahul has to be filed on or before next Monday and the matter will be heard on April 23 (next Tuesday). Welcoming this move, Gandhi had said, “Bahut khushi ho rahi hai ki jo main mahino se keh raha hun ki Hindustan ke Pradhan Mantri ne Air Force ka paisa chori karke Anil Ambani ji ko diya hai, us baat ko aj SC ne maan liya hai, (I am happy that what I have been saying for months that India’s Prime Minister stole money from the Air Force and gave it to Anil Ambani, Supreme Court has validated that point today).” He also dared the prime minister for an open debate. Soon after, Defence Minister Nirmala Sitharaman accused Gandhi of making comments that verge on contempt of court.